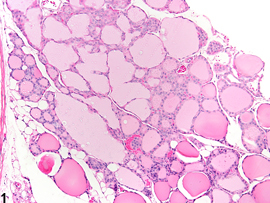 Thyroid Gland, Follicle - Degeneration in a female B6C3F1 mouse from a chronic study. 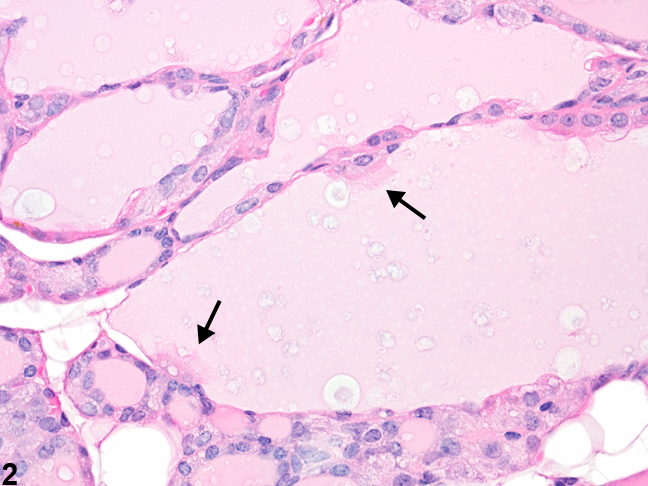 Adjacent coalescing follicles are dilated and contain pale-staining colloid. 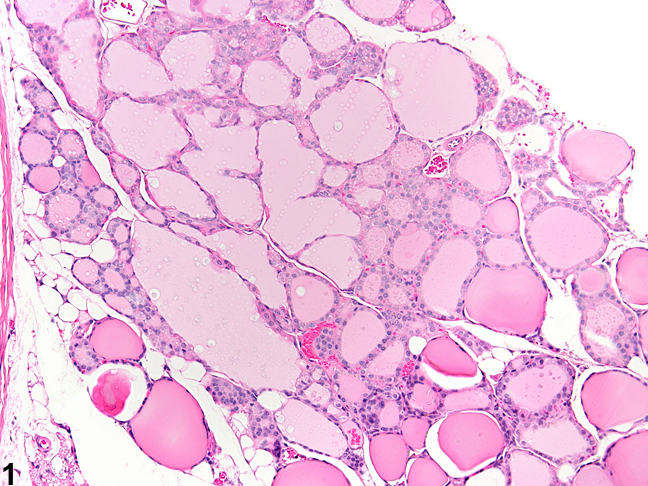 Thyroid Gland, Follicle - Degeneration in a female B6C3F1 mouse from a chronic study. 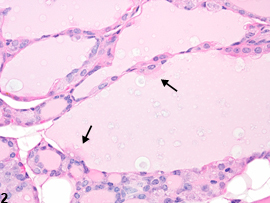 Degenerating follicles are partially lined by ciliated cells (arrows).